(Nanowerk News) Researchers at the University of Bonn and the University of California at Irvine used sophisticated computer simulations to devise a test that could answer a burning question in astrophysics: is there really dark matter? Or does Newton's gravitational law need to be modified? The new study, now published in the Physical Review Letters ("Radial acceleration relation of ΛCDM satellite galaxies"), shows that the answer is hidden in the motion of the stars within small satellite galaxies swirling around the Milky Way. Today, most physicists are convinced that dark matter makes up about 80 percent of the mass in the universe. Since it does not interact with light, it is invisible to telescopes. Yet, assuming its existence provides an excellent fit to a number of other observations - such as the distribution of background radiation, an afterglow of the Big Bang. 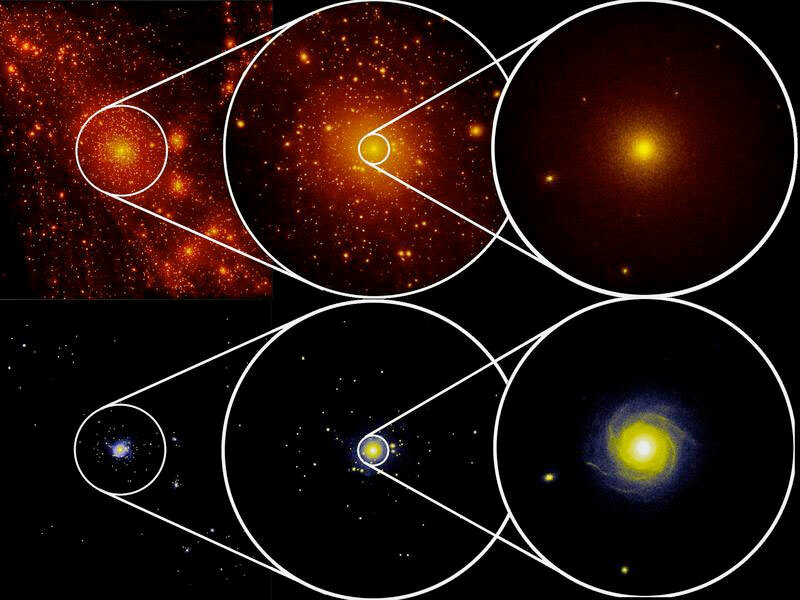 Dark matter also provides a good explanation for the arrangement and formation rate of galaxies in the universe. However, despite numerous experimental efforts, there is no direct proof that dark matter exists. This led astronomers to the hypothesis that the gravitational force itself might behave differently than previously thought. According to the theory called MOND (MOdified Newtonian Dynamics), the attraction between two masses obeys Newton's laws only up to a certain point. At very small accelerations, such as those prevailing in galaxies, gravity becomes considerably stronger. Therefore, galaxies do not tear apart due to their rotational speed and the MOND theory can dispense with the mysterious star putty.